For years, I prided myself on being a proponent of creative freedom and a free market. I am of the opinion that if there’s a demand for a product, it should be easily available. 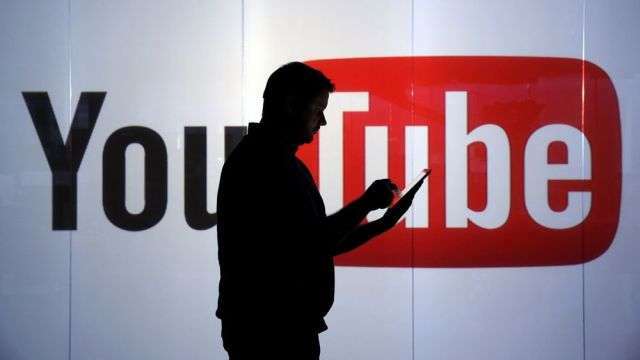 Since its launch in 2005, YouTube has become the biggest video streaming website in the world. Even those who aren’t video content creators find themselves losing multiple hours a week on the website. In theory, this should make for a healthy collective of content creators that will be able to add new videos to this ever-growing community. Recently, though, there has been a shift in terms of YouTube advertising. You have probably been greeted by video ads lasting anywhere from a few seconds to a few minutes, which play before your desired videos start. Third-party companies place these in order to drive awareness, not unlike traditional TV commercials. Furthermore, they’re used by everyone from small business owners to executives of multi-million dollar conglomerates, which speaks to their substantial reach. About a month ago, YouTube quietly introduced a new algorithm, as it relates to ads on videos. In simplest terms, if YouTube deems a video to have offensive or controversial content, ads cannot be run on it. As a result, certain content creators won’t see the same profits that they did before this algorithm kicked in. David Pakman, who runs his own commentary channel, saw a particularly substantial hit. According to Pakman, his videos have made as little as 6 cents per day. Needless to say, this won’t cover operating costs, let alone employment of multiple people. Pakman took to Patreon to supplement this loss, but the financial damage is undeniable. While there have been other examples of YouTube users suffering from this algorithm change, Pakman’s was one of the first that drew mainstream attention. To many people, Pakman’s content isn’t any more offensive than a regular day of reporting at FOX or CNN, both of which have numerous advertisers to their respective names. One can make the argument that this algorithm is new, meaning that time is needed to work out the kinks. Perhaps the hits that users have been seeing will eventually disappear and they can continue to make money off of their videos. If they can’t, however, what does that mean for YouTube? In my view, YouTube’s success hinges on its most popular content creators. If these men and women leave, due to financial reasons, who’s to say that they can’t set up shop on other platforms? It’s safe to assume that Vimeo would be pleased with the influx of traffic that would come from having the likes of Philip DeFranco and Markiplier as exclusive content creators. It would also yield a negative result on YouTube from an advertising standpoint. When there aren’t enough popular channels on YouTube that active, what sense would it make for companies to run ads on it? Even though this is one possibility, it’s one that’s been floating around since the aforementioned algorithm change. This is a situation that can be understood seen from both sides. Companies should be able to place ads on videos that they deem relevant to their products. However, content creators on YouTube are successful largely because of the freedom they enjoy. They shouldn’t be creatively stifled. YouTube has two sides of the argument to focus on, and pleasing everyone is likely to be easier said than done. What is your take, on this new YouTube ad placement algorithm? Please leave your thoughts in the comments!